My favorite screenshot. I knew we had nailed the look at this point. I’ve been working in the games industry for four years now at Bugbear and on the last day of March, my first game was released for the PlayStation 3, the Xbox 360 and the Windows PC. It’s a re-imagination of the fabled Ridge Racer series called Ridge Racer Unbounded. Having finished the final product a couple of times now, I can breath easy and say I’m happy with it. I’m certainly happy with the critical reception – basically all of the media I care for liked it, which is so much better than I was hoping for, years ago, thinking about the critical reception of my first commercial game. Although there’s always a lot of things you want to do better, I have no regrets. And in creating entertainment, that’s really the standard we should go for. I worked as a lead producer, among other things responsible for giving the game and the team a face and a voice. I thoroughly enjoyed the touring, meeting the fans and the doubters and hopefully converting quite a few of them to our side. When we first set on creating the game, I had this image in my mind of how I’d like the final product to play and feel, and it’s just like I imagined. I did not work in a creative director role, but a game is more than any single person. Everyone who puts their heart into it does mold it in their image. I feel like it’s my game. So there’s those hard to master, larger than life drifts with blazing light trails, there’s a flaming wreck flying just over you in every single race, there’s more gas explosions than you can wish for. 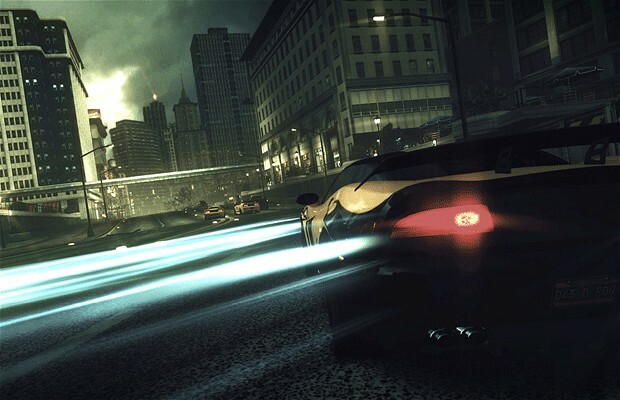 And if it all brings to mind Burnout 3: Takedown? Being the best car game ever published, I’m just fine with it. Making games is awesome. Releasing them is better.